The Loughlinstown Training Centre is breaking new ground with a number of new and innovative training courses that are leading to exciting new jobs for the unemployed. 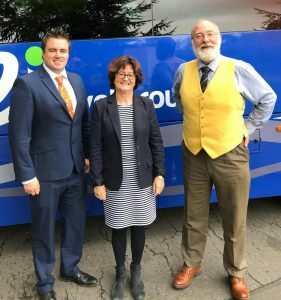 The Dublin based training centre, which is part of the Dublin Dun Laoghaire Education and Training Board (ETB), has recently launched a number of new courses that are proving very popular with learners and employers alike. The Festival Management and Sound Production Traineeship is a 47-week programme and involves a 12 weeks work placement with an employer. Learners receive training on how to plan, manage and organise a large festival or event as well as the operation of the technical lighting and sound production at such an event. The Traineeship leads to a number of QQI awards and is run in partnership with Swilly Group and Sound Training College in Templebar. The Local and National Tour Guiding course prepares learners to manage and conduct tours on behalf of a tour operator or as a self-employed guide. The course has a duration of 26 weeks and is being run in partnership with Swilly Group. The course also leads to QQI awards and there a strong practical element to this course with learners taking part in a number of field trips throughout the course. Learners from the Local and National Tour Guiding course meet President Michael D Higgins during a recent visit to Áras an Uachtaráin. Anne Hennessy from Loughlinstown Training Centre said, “We are trying to deliver programmes that are new, innovative and lead directly to employment for our learners”. “We have been exploring the so-called non-traditional industry sectors and developing new courses that meet the needs of employers as well as providing the learners with a certified qualification”. “We have been engaging with employers at all stages of the programme design, development and delivery and many of our graduates are receiving job offers before the course has been completed”. “Our partnership with specialist training companies such as Swilly Group and Sound Training College has allowed us to expand our portfolio of courses outside the traditional trades and industry sectors into these new and exciting areas”. Loughlinstown Training Centre is currently recruiting for the Festival Management and Sound Production Traineeship which is due to start in June 2019 and the Local and National Tour Guiding course scheduled to start in South Dublin in April 2019. Places are limited to 20 per course and anyone interested is advised to register their interest early to avoid disappointment. Click here to register your interest in the Local and National Tour Guiding Course. 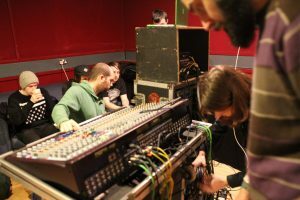 Click here to register your interest in the Festival Management and Sound Production Traineeship. Further detail on registering for either programme can be obtained by contacting the course recruitment department by phone on (0)1-204 3600 or by email on llrecruit@ddletb.ie.